While you won’t have the same problem with pollen in the winter as you would in the summer, you may still find yourself suffering because of indoor allergens. 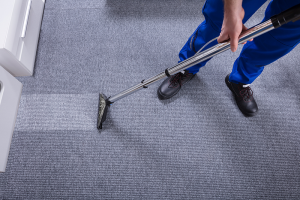 You’re sure to spend more time inside as the weather gets colder, which is why it’s so important to ensure that residential carpet cleaning is carried out on a regular basis to help keep these allergens at bay. Common allergens that might strike you down this winter include dust mites, dander (dead skin flakes) and indoor mould. Where the latter is concerned, ensure that basements and bathrooms are kept clean and free from damp to prevent mould from appearing. Keeping your home clean is one of your best lines of defence against winter allergies, but you should also make sure that you ensure your home isn’t humid as this creates the perfect environment for dust mites and so on to thrive. In some parts of the house, perhaps consider taking up the carpet and laying down area rugs instead. You’re sure to want some carpeting in some areas, such as the living room, but taking it up in places like the bathroom could be better for your health – and a lot more practical as well, since wet carpet can take longer to dry. Consider tiles or wooden flooring in the bathroom instead. This entry was posted in Advice and tagged residential carpet cleaning. Bookmark the permalink.